Steamboats are really cool. It’s a good thing the American Queen is back in business! 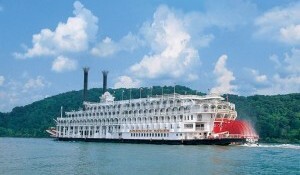 You know, there is now a new steamboat called Queen of the Mississippi! I have a whole bog on steamboats, you should check it out at riverinformer.wordpress.com. Just look it up!